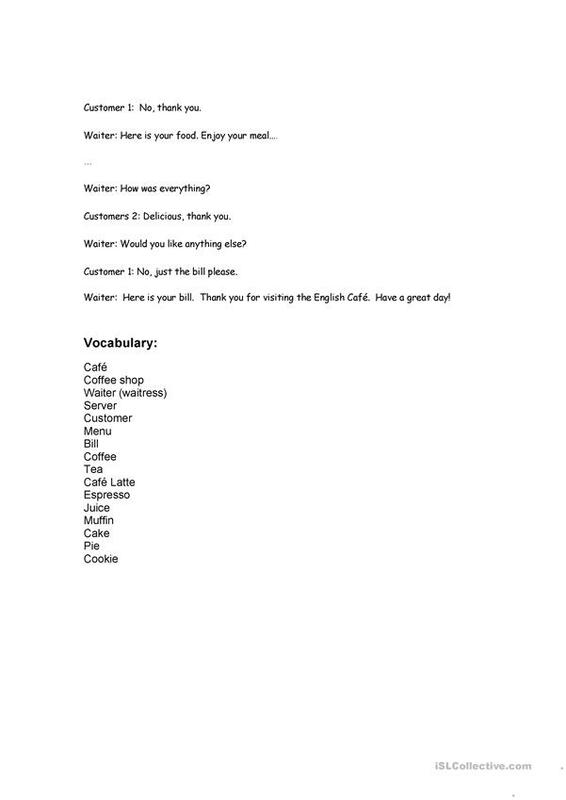 This activity is designed to help beginner English learners understand the relevant vocabulary necessary when visiting a cafe. The activity review both an order made at a take away counter and sit-down service. The present downloadable worksheet is recommended for adults at Beginner (pre-A1) level. It is a useful material for teaching Word order in English, and is useful for developing your students' Speaking and Reading skills. 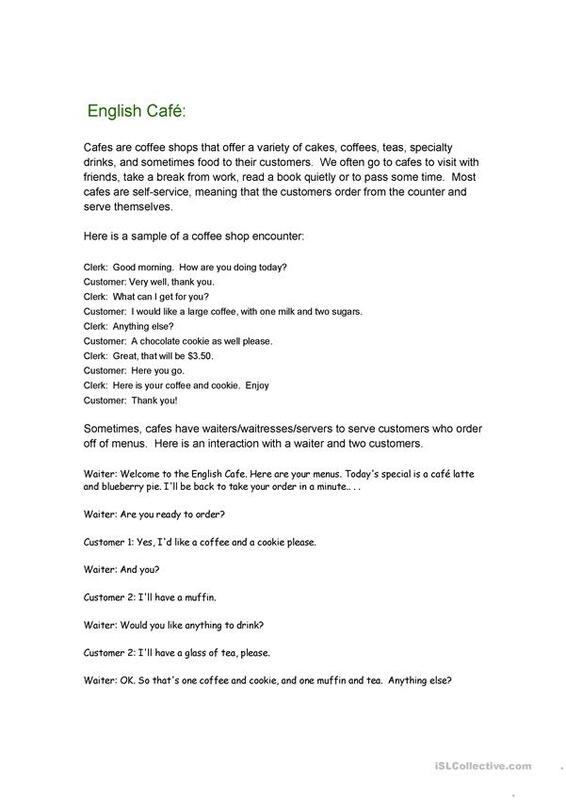 It is about the theme of Going to a restaurant. Moustache is from/lives in Canada and has been a member of iSLCollective since 2011-10-05 02:16:47. Moustache last logged in on 2011-10-12 04:25:19, and has shared 1 resources on iSLCollective so far.